or guest who like a bit space to relax in. Named for nearby Lissadell House, a beautiful early 19th century country house- the ancestral home of Countess Constance Markievicz. This is a very large en suite room with a queen size bed and a single bed. Named for our beautiful valley, lake and waterfall which is just a short drive away. 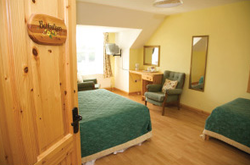 This is a beautiful, sunny large en suite room with a queen size bed and a single bed. 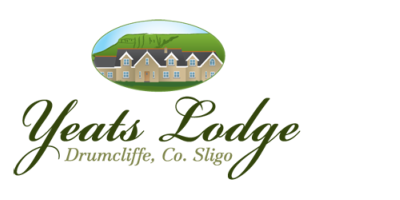 Named for Sligo’s famous W. B. Yeats whose poetry is synonomous with Sligo and whose final resting place is in nearby Drumcliffe Church. A large family room with en suite bathroom. Named for “The Lake Isle of Inisfree” our nearby lake imortalised in the W.B. Yeats’ poem. This is a large, bright en suite room with a queen size bed and a single bed.